To prove it, the valiant team over at Mythbusters folded a piece of paper 11 times. Sure, the final few folds took a forklift because the piece of paper was so heavy, but they did it, if only to prove children everywhere that they’re wrong. Surely, pre-meds aren’t subject to the same myths? Ah. Not so. Pre-meds, like children, have a poor understanding of how the admissions process works. Rumors spread like the flu. Your friend’s friend double-majored in biology and psychology and she got in, so that’s the recipe that you should follow. When people hear that you want to be a doctor, they suddenly become experts on the subject. Friends, family, teachers, coaches - everyone seems to have an opinion. Their recommendations might seem like gospel, but it’s likely that their advice is misguided. We’ve worked with hundreds of pre-meds over the last ten years, and they almost always have misconceptions. It’s not their fault. Usually they’ve bought into myths propagated by academia, the internet (we’re looking at you, StudentDoctor), or general hearsay (call it a mob mentality or the pre-med hivemind?). Like the show Mythbusters, we’re here to dispel these troublesome myths so that you don’t fall into the common pre-med traps. As you’ll see, most of the pre-med myths fail to pass the stress test. Not only do you not have to major in biology, but it can actually hurt you. Why? Let's compare biology with an easier major, like history. “But biology majors do better on the MCAT, right?” Wrong again. Humanities majors out-perform biology majors on the MCAT. Surely biology majors beat history majors at the biology section of the MCAT, right? Nope. Sure, attending a top-ranked college is fine, but it carries less weight than you might think. 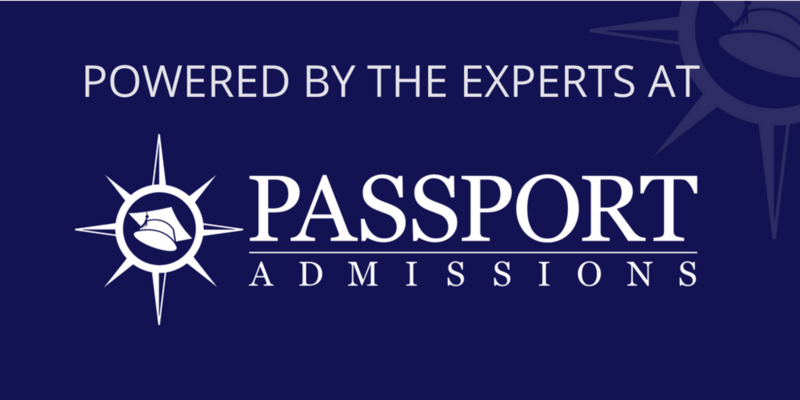 In admissions surveys, many different factors are listed as important or very important: Science GPA, MCAT, GPA trend, Cumulative GPA, healthcare experience, experience with underserved populations, cultural challenges, leadership experience, state residency (public schools only), the interview, and letters of recommendation. Where does prestige rank? Private medical schools (which make up about a third of all allopathic med schools in the US) rank it among that list above, as “very important.” Public schools - the majority of schools - rank it as “lowest importance.” In other words, at best, your undergraduate college is merely among a list of 10 or more factors that a medical school considers. At worst, it doesn’t matter at all. The truth is that there’s not one right kind of college for a pre-med, in the same way that there’s not one right kind of doctor. Large universities, small liberal arts colleges, Ivy League schools, and everything in between: they all have their advantages and downsides. Ultimately, you can get a quality pre-med experience at any college, as long as you have the right mindset and approach to learning. What’s Wrong With Guaranteed Acceptance to Medical School? 3 Surprising Downsides to BS/MD Programs? Be higher, better, stronger, and faster than everybody else in the categories above. Do something to specialize, to give you an ability outside of what’s listed above. If your stats are high enough (GPA and MCAT), you can get into medical school even if you don’t stand out. But if you don’t have stellar numbers, then specialization is key. It’s not enough to just do the pre-med checklist; you need to bring a set of unique experiences to the incoming class at a medical school. You might think you can’t be pre-med and have a life. You have to spend all your time hitting the books and not allow yourself to be distracted by parties or other social engagements.The truth is that solitary people make good researchers in the lab, but they usually don’t make good doctors. If for no other reason, think of socializing as a necessary skill. Becoming a physician is stressful, and you’re going to need a solid support network to get through it. Sustaining friendships is fuel for the soul, the perfect antidote to burnout. Even if you’re busy, you can find friends through activities that will help your medical school application. Go ahead and volunteer for your school’s orientation program for new students. Go ahead and teach CPR classes to residents in the dorms. Run for president of your fraternity or the student government. Serve as captain of the club hockey team. You can make friends and contribute to your campus at the same time. Are you burned out? Take our pre-med burnout quiz. Myth #5 - Being a doctor is awesome! Doctors are viewed - both by Hollywood and by pre-meds - as heroes. They save people’s lives in emergency situations. They research new breakthroughs in order to help all of humanity. They lead communities and advocate for change. Are you prepared to wipe feces, insert catheters, clean bedpans, and remove warts from people’s feet? Do you like dealing with grumpy, sick people all day? How would you feel about turning away desperate, homeless patients due to lack of funds? Are you ready to tell someone that they’re going to die? Are you ready to miss your kids’ soccer games and dance recitals because you’re on call? In a 2010 JAMA study, more than half of responding medical students from multiple schools self-reported burnout. Research over the last few years revealed that unrelenting job pressures cause two-thirds of fully trained doctors to experience the emotional, mental, and physical exhaustion of burnout. The main problem areas were a loss of autonomy, mental exhaustion, and heavy punishments (read: lawsuits) for mistakes. There are so many doctors fleeing the field that there’s even a networking site - Drop Out Club (DOC, get it?) - for doctors who have left the field and want to find another job. 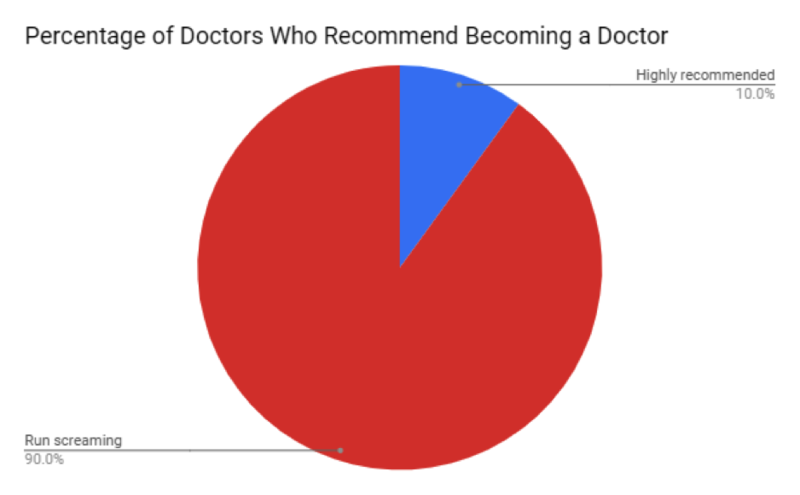 Look, we’re not saying that you shouldn’t become a physician. But you need to know that this is the only career for you, that the positives will be worth the negatives. Don’t settle on this just because you’ve always wanted to do it, or - heaven forbid - it’s what mom and dad want for you. Do you still want to be a doctor? Do you feel better or worse about your plans? Do you think you have what it takes? In our experience, the best pre-meds have a thirst for learning and new experiences. They constantly reflect on the ethical and scientific practices of medicine. They ask teachers questions outside of class. They take initiative on independent projects and improve their community by filling in some important need. So ask yourself - are you this student? Can you become a Savvy Pre-med?